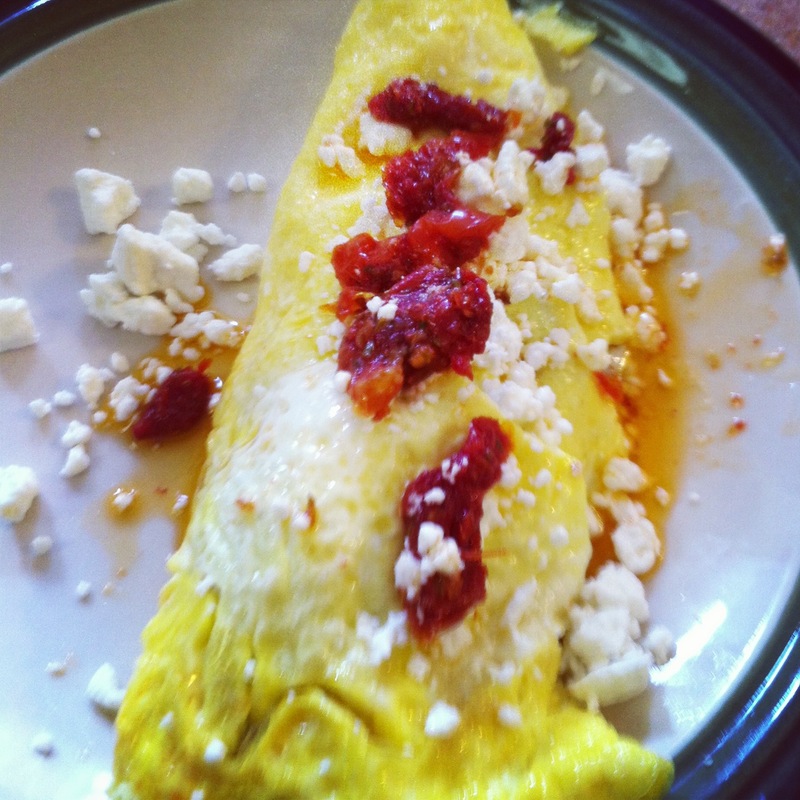 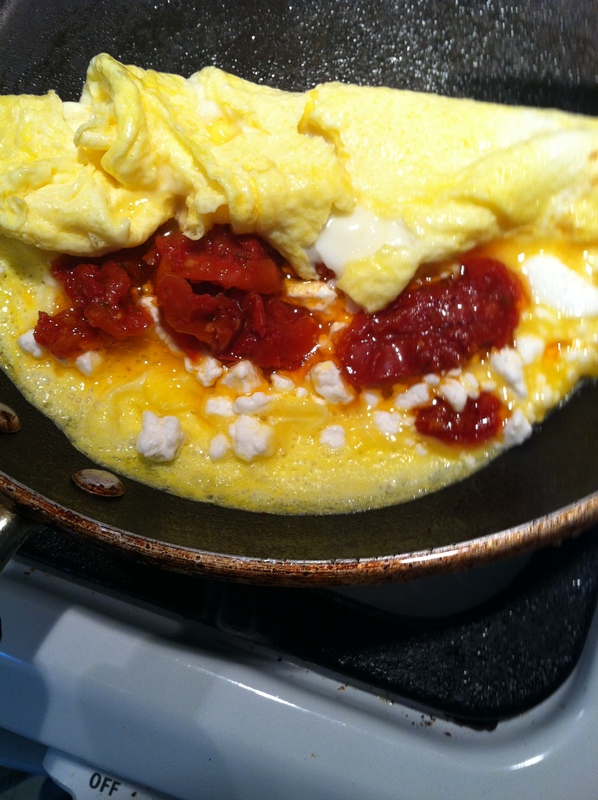 I wanted a vegetarian omelet, so I made one with goat cheese and sun-dried tomatoes. 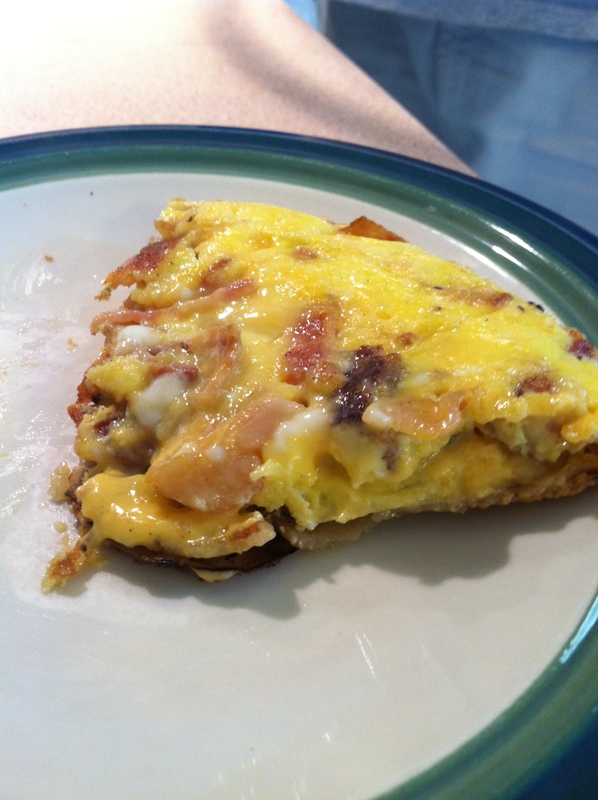 My husband made himself a pretty yummy frittata. 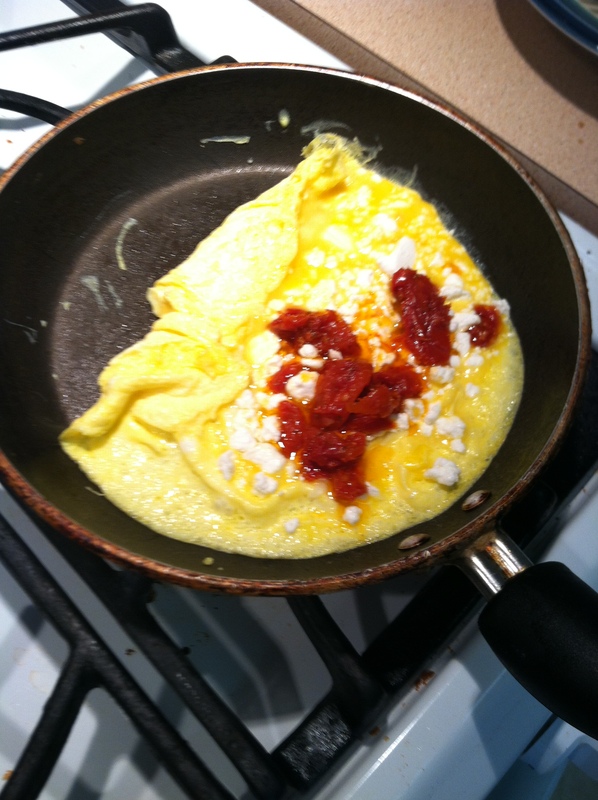 Of course, I had to have a taste. 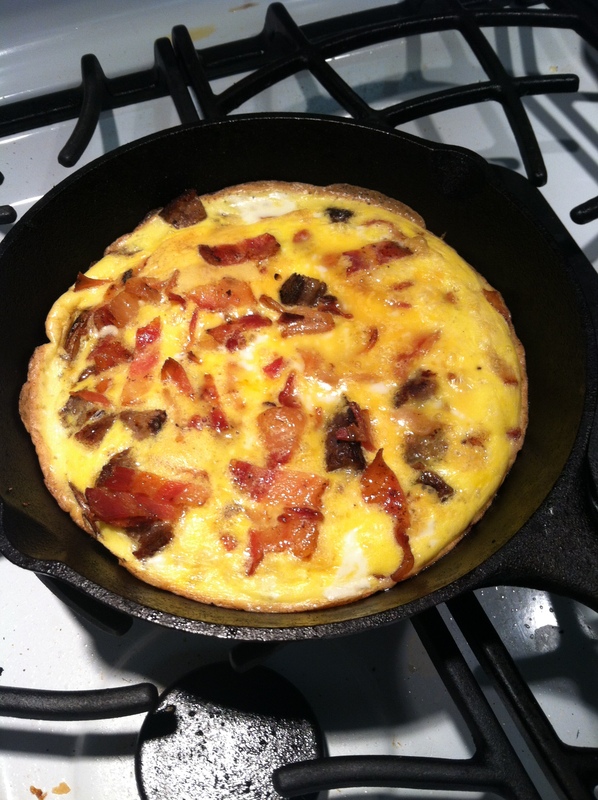 I am kind of like a hobbit; I eat first breakfast and second breakfast any time I can.